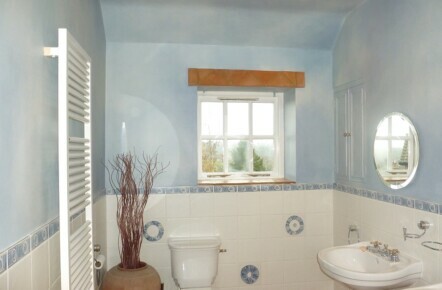 For this colour wash paint effects project I was commissioned by some long standing clients I have in Harrogate. Over the years I have hand painted a variety of different effects throughout their home, from broken colour finishes in the master bedroom and kitchen to and three-tone stripes in the dining room and a metallic pearlescent finish in the lounge. 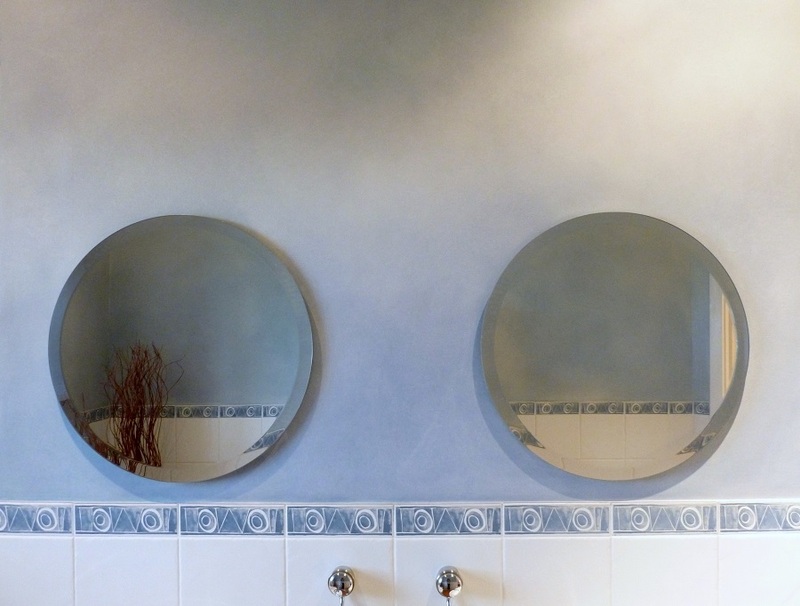 The master en-suite had originally been painted with a stippled effect over 16 years ago by Nicola Creasey, a fabulous decorative artist who I worked with for a year and helped instill in me my love of all things decorative and painty. The fact that the stippled finish on the walls had lasted so long as was only now showing small areas of wear and tear, is a testament to the high durability of decorative paint effects and shows how cost effective this kind of decorative solution can be! 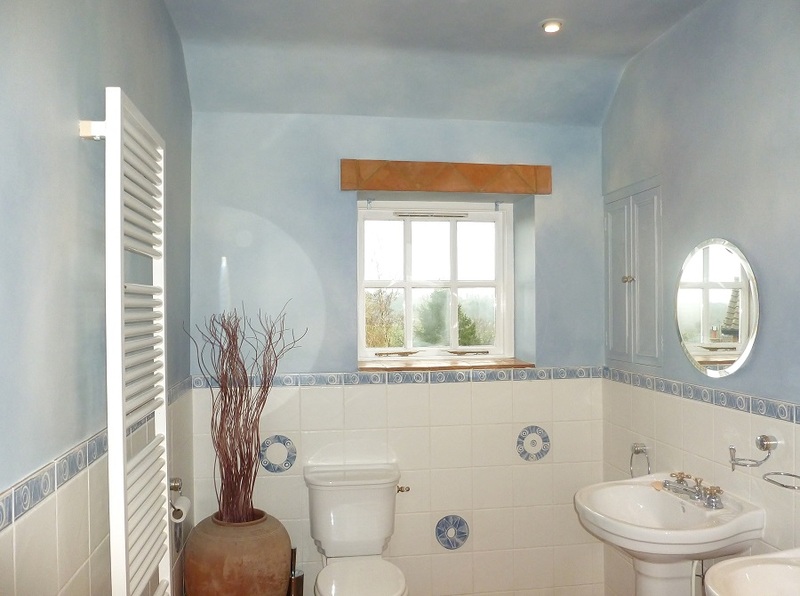 Paint effects and colour washes can be done in any colour and made as bold or as subtle as you like as each one is hand painted and tailor made to suit your particular room and the decoration within. 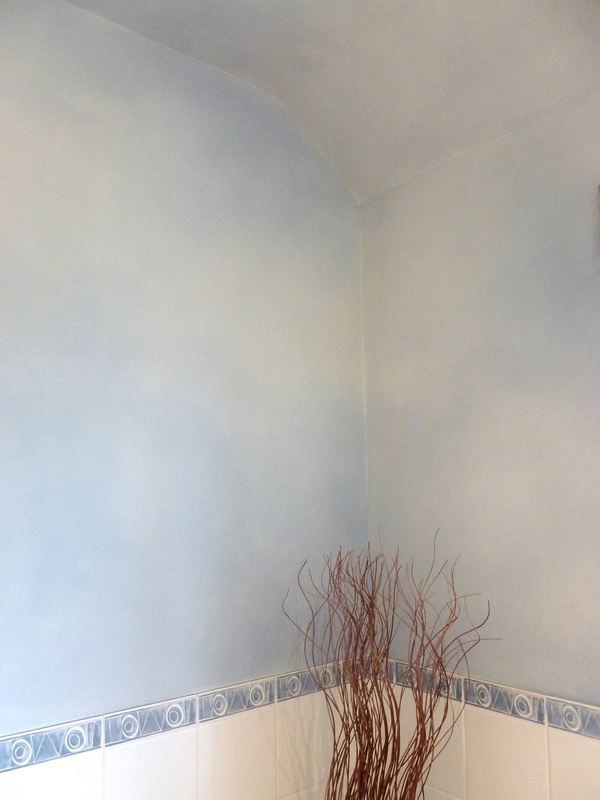 If you’d like to learn more about this particular project, see photos of how it progressed and generally see how I went about things then please check out Paint Effects Blog on Colour Washed Walls.